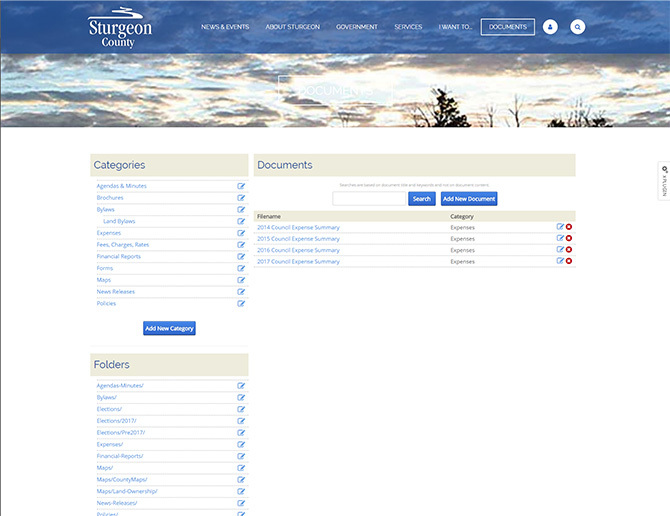 In another municipal collaboration project with Webmonton Media, we had the opportunity to create a document management system for the new Sturgeon County website. ShiftUp Consulting built a DotNetNuke module that provides document upload, categorisation, folder creation and file management in one convenient unit. Administrators are able to upload files, create user friendly titles for the files and delete them easily when no longer required. Website viewers are able to search for files by its title and category & either download or view the files instantly online.